Visa requirements for Mexican citizens are administrative entry restrictions by the authorities of other states placed on citizens of Mexico. As of March 2019,[update] Mexican citizens had visa-free or visa on arrival access to 158 countries and territories, ranking the Mexican passport 24th in terms of travel freedom according to the Henley Passport Index. May apply online (Online Visitor e600 visa). Transit visa is not required. Visa is also obtainable online. Fee 77 USD. Visa on arrival available to business travelers if they are holding a letter of invitation issued by an accredited organization in Bangladesh that has notified the Immigration authorities prior to arrival. Must arrive and depart via Minsk International Airport. Must have an international vaccination certificate. eTA required if arriving by air. 72-hour visit without a visa when in transit at Changsha, Chengdu, Chongqing, Guangzhou, Guilin, Harbin, Kunming, Qingdao, Wuhan, Xi'an and Xiamen. Hong Kong, Macau, and Taiwan do count as third countries under the 72 and 144-hours visa-free visit transit policy. Visa on arrival is obtainable only at Addis Ababa Bole International Airport. eVisa holders must arrive via Addis Ababa Bole International Airport. eVisas are available for 30 or 90 days. Electronic visa holders must arrive via Libreville International Airport. An entry clearance must be obtained from the Gambian Immigration prior to travel. An Indian e-Tourist Visa can only be obtained twice in one calendar year. Visa on arrival available at Manas International Airport. Electronic visa holders must arrive via Manas International Airport or Osh Airport or through land crossings with China (at Irkeshtam and Torugart), Kazakhstan (at Ak-jol, Ak-Tilek, Chaldybar, Chon-Kapka), Tajikistan (at Bor-Dobo, Kulundu, Kyzyl-Bel) and Uzbekistan (at Dostuk). Available at international airports Luangphabang, Pakse, Savannakhet and Vientiane, and at 4 land borders Friendship Bridge,[Note 3] and at 13 border crossings[Note 4] as well as Tanalaeng train station in Vientiane, which connects to the train station in Nongkai, Thailand. Entry points Lalai, Lantui, Meuang mom, Pakxan, and Phoudou are open only to visa holders. Extendable up to 60 days. Extendable for 2 additional months; granted free of charge at Beirut International Airport or any other port of entry if there is no Israeli visa or seal, holding a telephone number, an address in Lebanon, and a non refundable return or circle trip ticket. eVisa holders must arrive via Yangon, Nay Pyi Taw or Mandalay airports or via land border crossings with Thailand — Tachileik, Myawaddy and Kawthaung or India — Rih Khaw Dar and Tamu. eVisa is available for tourism only. Electronic Travel Authority and International Visitor Conservation and Tourism Levy must be obtained before arrival from 1 October 2019. Eligible for eVisa if holding a valid Schengen Visa, or a valid visa or residence permit from Australia, Canada, UK or USA. Visa on arrival when travelling on business valid for 30 days. Conditions apply. Available at Bosaso Airport, Galcaio Airport and Mogadishu Airport. Visa on arrival from 14 April 2019. 5-day visa free transit when in transit at the international airports on condition of holding a confirmed onward ticket for a flight to a third country. Nagorno-Karabakh (Artsakh) Visa required Travelers with Artsakh visa (expired or valid) or evidence of travel to Artsakh (stamps) will be permanently denied entry to Azerbaijan. Novorossiya Restricted area Crossing from Ukraine requires visit purpose to be explained to Ukrainian passport control on exit and those who entered from Russia are not allowed to proceed further into Ukraine. Palestine Visa not required Arrival by sea to Gaza Strip not allowed. Sahrawi Arab Democratic Republic Undefined visa regime in the Western Sahara controlled territory. Somaliland Visa on arrival 30 days for 30 US dollars, payable on arrival. Transnistria Visa not required Registration required after 24 hours. French Guiana Visa not required Visa free for 3 months within any 6-month period for each territory. Aruba Visa not required up to 90 days for each territory. Jan Mayen Permit required Permit issued by the local police required for staying for less than 24 hours and permit issued by the Norwegian police for staying for more than 24 hours. Svalbard Visa not required Unlimited period under Svalbard Treaty but it's practically impossible to board a flight/ferry to Svalbard without entering Norway. Hence double entry Schengen visa would be required to go and come back from Svalbard to mainland Norway. Pitcairn Islands Visa not required 14 days visa free and landing fee 35 USD or tax of 5 USD if not going ashore. Tristan da Cunha Permission required Permission to land required for 15/30 pounds sterling (yacht/ship passenger) for Tristan da Cunha Island or 20 pounds sterling for Gough Island, Inaccessible Island or Nightingale Islands. South Georgia and the South Sandwich Islands Permit required Pre-arrival permit from the Commissioner required (72 hours/1 month for 110/160 pounds sterling). Special permits required for Bouvet Island, British Antarctic Territory, French Southern and Antarctic Lands, Argentine Antarctica, Australian Antarctic Territory, Chilean Antarctic Territory, Heard Island and McDonald Islands, Peter I Island, Queen Maud Land, Ross Dependency. Australia. Ashmore and Cartier Islands – Special authorisation required. China. Tibet Autonomous Region – Tibet Travel Permit required (10 US Dollars). Colombia. San Andrés and Leticia – Visitors arriving at Gustavo Rojas Pinilla International Airport and Alfredo Vásquez Cobo International Airport must buy tourist cards on arrival. Ecuador. Galápagos – Online pre-registration is required. Transit Control Card must also be obtained at the airport prior to departure. Eritrea outside Asmara – To travel in the rest of the country, a Travel Permit for Foreigners is required (20 Eritrean nakfa). Fiji. Lau Province – Special permission required. Greece Mount Athos – Special permit required (4 days: 25 euro for Orthodox visitors, 35 euro for non-Orthodox visitors, 18 euro for students). There is a visitors' quota: maximum 100 Orthodox and 10 non-Orthodox per day and women are not allowed. India. Protected Area Permit (PAP) required for whole states of Nagaland and Sikkim and parts of states Manipur, Arunachal Pradesh, Uttaranchal, Jammu and Kashmir, Rajasthan, Himachal Pradesh. Restricted Area Permit (RAP) required for all of Andaman and Nicobar Islands and parts of Sikkim. Some of these requirements are occasionally lifted for a year. Iran. Kish Island – Visa not required. Kazakhstan. Closed cities – Special permission required for the town of Baikonur and surrounding areas in Kyzylorda Oblast, and the town of Gvardeyskiy near Almaty. North Korea outside Pyongyang – Special permit required. People are not allowed to leave the capital city, tourists can only leave the capital with a governmental tourist guide (no independent moving). Malaysia. Sabah and Sarawak – Visa not required. These states have their own immigration authorities and passport is required to travel to them, however the same visa applies. Maldives outside Malé – Permission required. Tourists are generally prohibited from visiting non-resort islands without the express permission of the Government of Maldives. Russia. Several closed cities and regions in Russia – Special authorization required. Saudi Arabia Mecca and Medina – Special access required. Non-Muslims and those following the Ahmadiyya religious movement are strictly prohibited from entry. Sudan. Darfur – Separate travel permit is required. Sudan outside Khartoum – All foreigners traveling more than 25 kilometers outside of Khartoum must obtain a travel permit. Tajikistan. Gorno-Badakhshan Autonomous Province – OIVR permit required (15+5 Tajikistani Somoni) and another special permit (free of charge) is required for Lake Sarez. Turkmenistan. Closed cities – A special permit, issued prior to arrival by Ministry of Foreign Affairs, is required if visiting the following places: Atamurat, Cheleken, Dashoguz, Serakhs and Serhetabat. United States. Closed city of Mercury, Nevada, United States – Special authorization is required for entry into Mercury. United States. United States Minor Outlying Islands – Special permits required for Baker Island, Howland Island, Jarvis Island, Johnston Atoll, Kingman Reef, Midway Atoll, Palmyra Atoll and Wake Island. Venezuela. Margarita Island – Visa not required. All visitors are fingerprinted. Vietnam. Phú Quốc – Visa not required for 30 days. Yemen outside Sana'a or Aden – Special permission needed for travel outside Sana'a or Aden. UN Buffer Zone in Cyprus – Access Permit is required for travelling inside the zone, except Civil Use Areas. Korean Demilitarized Zone – Restricted area. UNDOF Zone and Ghajar – Restricted area. 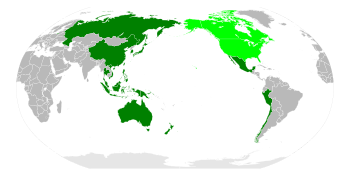 In the absence of specific bilateral agreements, countries requiring passports to be valid for at least 6 more months on arrival include Afghanistan, Algeria, Anguilla, Bahrain, Bhutan, Botswana, British Virgin Islands, Brunei, Cambodia, Cameroon, Cape Verde, Cayman Islands, Central African Republic, Chad, Comoros, Costa Rica, Côte d'Ivoire, Curaçao, Ecuador, Egypt, El Salvador, Equatorial Guinea, Fiji, Gabon, Guinea Bissau, Guyana, Haiti, Indonesia, Iran, Iraq, Israel, Jordan, Kenya, Kiribati, Kuwait, Laos, Madagascar, Malaysia, Maldives, Marshall Islands, Mongolia, Myanmar, Namibia, Nepal, Nicaragua, Nigeria, Oman, Palau, Papua New Guinea, Philippines, Qatar, Rwanda, Samoa, Saudi Arabia, Singapore, Solomon Islands, Somalia, Sri Lanka, Sudan, Suriname, Tanzania, Thailand, Timor-Leste, Tokelau, Tonga, Tuvalu, Uganda, United Arab Emirates, Vanuatu, Venezuela, and Vietnam. Turkey requires passports to be valid for at least 150 days upon entry. Countries requiring passports valid for at least 4 months on arrival include Micronesia and Zambia. Countries requiring passports with a validity of at least 3 months beyond the date of intended departure include European Union countries (except the Republic of Ireland and the United Kingdom); Iceland, Liechtenstein, Norway, Switzerland (all with an exception made for EEA and Swiss nationals). Azerbaijan, Bosnia and Herzegovina, Montenegro, Nauru, Moldova, and New Zealand also require 3 months validity beyond the date of the bearer's intended departure. Countries requiring passports valid for at least 3 months validity upon arrival include Albania, Honduras, North Macedonia, Panama, and Senegal. Bermuda requires passports to be valid for at least 45 days upon entry. Countries that require a passport validity of at least one month beyond the date of intended departure include Eritrea, Hong Kong, Lebanon, Macau, and South Africa. Other countries require either a passport valid on arrival or a passport valid throughout the period of the intended stay. Some countries have bilateral agreements with other countries to shorten the period of passport validity required for each other's citizens or even accept passports that have already expired (but not been cancelled). Many countries require a minimum number of blank pages in the passport being presented, generally one or two pages. Endorsement pages, which often appear after the visa pages, are not counted as being available. Many African countries, including Angola, Benin, Burkina Faso, Cameroon, Central African Republic, Chad, Democratic Republic of the Congo, Republic of the Congo, Côte d'Ivoire, Equatorial Guinea, Gabon, Ghana, Guinea, Liberia, Mali, Mauritania, Niger, Rwanda, São Tomé and Príncipe, Senegal, Sierra Leone, Uganda, and Zambia, require all incoming passengers to have a current International Certificate of Vaccination. Some other countries require vaccination only if the passenger is coming from an infected area or has visited one recently. Kuwait, Lebanon, Libya, Saudi Arabia, Sudan, Syria, and Yemen do not allow entry to people with passport stamps from Israel or whose passports have either a used or an unused Israeli visa, or where there is evidence of previous travel to Israel such as entry or exit stamps from neighbouring border posts in transit countries such as Jordan and Egypt. To circumvent this Arab League boycott of Israel, the Israeli immigration services have now mostly ceased to stamp foreign nationals' passports on either entry to or exit from Israel. Since 15 January 2013, Israel no longer stamps foreign passports at Ben Gurion Airport, giving passengers a card instead that reads: "Since January 2013 a pilot scheme has been introduced whereby visitors are given an entry card instead of an entry stamp on arrival. You should keep this card with your passport until you leave. This is evidence of your legal entry into Israel and may be required, particularly at any crossing points into the Occupied Palestinian Territories." Passports are still (as of 22 June 2017[update]) stamped at Erez when travelling into and out of Gaza. Also, passports are still stamped (as of 22 June 2017[update]) at the Jordan Valley/Sheikh Hussein and Yitzhak Rabin/Arava land borders with Jordan. Iran refuses admission to holders of passports containing an Israeli visa or stamp that is less than 12 months old. Due to a state of war existing between Armenia and Azerbaijan, the government of Azerbaijan not only bans entry of citizens from Armenia, but also all citizens and nationals of any other country who are of Armenian descent, to the Republic of Azerbaijan (although there have been exceptions, notably for Armenia's participation at the 2015 European Games held in Azerbaijan). Azerbaijan also strictly bans any visit by foreign citizens to the separatist region of Nagorno-Karabakh (the de facto independent Republic of Artsakh), its surrounding territories, and the Azerbaijani exclaves of Karki, Yuxarı Əskipara, Barxudarlı, and Sofulu which are de jure part of Azerbaijan but under control of Armenia, without the prior consent of the government of Azerbaijan. Foreign citizens who enter these territories will be permanently banned from entering the Republic of Azerbaijan and will be included in their "list of personae non gratae". As of January 2019, the list contains 795 persons. Upon request, the authorities of the largely unrecognized Republic of Artsakh may attach their visa and/or stamps to a separate piece of paper in order to avoid detection of travel to their country. Some countries (for example: Australia, Canada, Fiji, New Zealand, and the United States ) routinely deny entry to non-citizens who have a criminal record. The government of a country can declare a diplomat persona non grata, banning their entry into that country. In non-diplomatic use, the authorities of a country may also declare a foreigner persona non grata permanently or temporarily, usually because of unlawful activity. Attempts to enter the Gaza strip by sea may attract a 10-year ban on entering Israel. Iris recognition biometric systems apply mathematical pattern-recognition techniques to images of the irises of an individual's eyes. Several countries mandate that all travellers, or all foreign travellers, be fingerprinted on arrival and will refuse admission to or even arrest those travellers that refuse to comply. In some countries, such as the United States, this may apply even to transit passengers who merely wish to quickly change planes rather than go landside. Fingerprinting countries include Afghanistan, Argentina, Brunei, Cambodia, China, Ethiopia, Ghana, India, Japan, Malaysia upon entry and departure, Paraguay, Saudi Arabia, Singapore, South Korea, and Taiwan. Additionally, the United Arab Emirates conducts iris scanning on visitors who need to apply for a visa. ^ "Global Ranking - Passport Index 2019" (PDF). Henley & Partners. Retrieved 4 April 2019. ^ Visa information, Ministry of Foreign Affairs of Afghanistan. ^ Visa regime for foreign citizens, Ministry for Europe and Foreign Affairs of Albania. ^ Travel Information Manual, International Air Transport Association (IATA). ^ Travel to Andorra, Ministry of External Affairs of Andorra. ^ Countries exempt from visa, Department of Immigration of Antigua and Barbuda. ^ Visa regime, National Directorate of Migrations of Argentina (in Spanish). ^ Visa, Ministry of Foreign Affairs of Armenia. ^ Visitor visa options, Department of Home Affairs of Australia. ^ "Visitor e600 Visa Online Applications". Department of Immigration and Border Protection. Retrieved 31 August 2015. ^ Do I need a visa to transit through Australia? ^ Schengen visa, Federal Ministry for Europe, Integration and Foreign Affairs of Austria. ^ Countries with visa-free travel regime, Ministry of Foreign Affairs of Azerbaijan (in Azerbaijani). ^ Visa requirements for foreigners travelling to the Bahamas, Government of the Bahamas, 18 February 2014. ^ Bahrain eVisas, Ministry of Interior of Bahrain. ^ Visa requirements for foreign nationals entering Barbados, Ministry of Foreign Affairs and Foreign Trade of Barbados, 3 June 2009. ^ Visa-free travel, Ministry of Foreign Affairs of Belarus. ^ Visa for Belgium, Federal Public Service Foreign Affairs of Belgium. ^ Countries not requiring an entry visa, Department of Immigration and Nationality Services of Belize, September 2016. ^ Visa, Emigration and Immigration Directorate of Benin. ^ Visa, Tourism Council of Bhutan. ^ Requirements to enter Bolivia, General Directorate of Migration of Bolivia (in Spanish). ^ Visas, Ministry of Foreign Affairs of Bosnia and Herzegovina. ^ Requirements for visa application, Government of Botswana. ^ Visas to travel to Brazil, Ministry of External Relations of Brazil (in Portuguese and English). ^ Country category for visa application, Ministry of Foreign Affairs and Trade of Brunei. ^ Visa for Bulgaria, Ministry of Foreign Affairs of Bulgaria. ^ Visa requirements overview, Ministry of Foreign and European Affairs of Croatia. ^ Visa policy, Ministry of Foreign Affairs of Cyprus. ^ List of states whose citizens are exempt from visa requirement, Ministry of Foreign Affairs of the Czech Republic, 13 July 2017. ^ Countries with a visa requirement and visa-free countries, Danish Immigration Service, 8 December 2017. ^ Who does not need a visa to visit Estonia?, Ministry of Foreign Affairs of Estonia, 2 November 2017. ^ "Ethiopia visa on arrival". Main Department for Immigration and Nationality Affairs, Ethiopia. Retrieved 24 November 2018. ^ "Ethiopia electronic visa". Main Department for Immigration and Nationality Affairs, Ethiopia. Retrieved 24 November 2018. ^ Visa requirement and travel documents accepted by Finland, Ministry for Foreign Affairs of Finland. ^ Foreign nationals holding ordinary passports exempt from visa requirements, Ministry for Europe and Foreign Affairs of France, January 2016. ^ "ENTRY INTO THE GAMBIA. GAMBIA IMMIGRATION DEPARTMENT". gid.gov.gm. 2017-12-23. Retrieved 2017-12-23. ^ Overview of visa requirements/exemptions for entry into the Federal Republic of Germany, Federal Foreign Office of Germany. ^ Countries requiring or not requiring a visa, Ministry of Foreign Affairs of Greece, 13 June 2017. ^ Countries that do not need a visa, Ministry of Foreign Affairs and Trade of Hungary. ^ Who does not need a visa, Directorate of Immigration of Iceland. ^ "Indian e-Visa". Ministry of Home Affairs, Government of India. ^ "Indian e-Visa fees by country" (PDF). Ministry of Home Affairs, Government of India. ^ Countries that need a visa for Ireland, Irish Naturalisation and Immigration Service. ^ Tourist visa table, Israel Ministry of Foreign Affairs, 23 May 2017. ^ Visa for Italy, Ministry of Foreign Affairs and International Cooperation of Italy. ^ "Visa Information". Timatic. Retrieved 24 March 2014. ^ "e-VISA". evisa.e-gov.kg. Retrieved 11 April 2018. ^ "The Department Of Immigration. Checkpoints". The Department Of Immigration Of Lao People’s Democratic Republic. Retrieved 22 July 2018. ^ Countries whose citizens may enter Latvia without a visa, Ministry of Foreign Affairs of Latvia, 9 October 2017. ^ Visa, Government of Liechtenstein (in German). ^ Do I need a visa?, Ministry of Foreign Affairs of Lithuania, 30 August 2017. ^ Staying in Luxembourg for less than 90 days, Government of Luxembourg. ^ Who requires a visa?, Identity Malta. ^ Before you leave, Monaco Government Tourist Office. ^ Short-stay Schengen visa (90 days or less), Government of the Netherlands. ^ Persons who do not need a visa to visit Norway, Norwegian Directorate of Immigration. ^ Visa-free countries, Ministry of Foreign Affairs of Poland. ^ Third countries whose citizens are required to have a visa, Ministry of Foreign Affairs of Portugal. ^ Do I need a visa?, Ministry of Foreign Affairs of Romania. ^ Border formalities, San Marino Tourism Board. ^ Consular information and travel visa, Ministry of Foreign and European Affairs of Slovakia. ^ Visa regimes and visas, Ministry of Foreign Affairs of Slovenia. ^ Entry requirements, Ministry of Foreign Affairs and Cooperation of Spain. ^ List of foreign citizens who require visa for entry into Sweden, Government of Sweden. ^ Overview of ID and visa provisions according to nationality, State Secretariat for Migration of Switzerland. ^ "Homepage - Ministry of Foreign Affairs of Ukraine". evisa.mfa.gov.ua. ^ UK visa requirements: list for carriers, Government of the United Kingdom, 2 October 2017. ^ Travel without a visa, United States Department of State. ^ "ПОСТАНОВЛЕНИЕ ПРЕЗИДЕНТА РЕСПУБЛИКИ УЗБЕКИСТАН О ДАЛЬНЕЙШИХ МЕРАХ ПО ОПТИМИЗАЦИИ ПОРЯДКА ВЪЕЗДА ИНОСТРАННЫХ ГРАЖДАН В РЕСПУБЛИКУ УЗБЕКИСТАН". lex.uz. 4 July 2018. Retrieved 15 July 2018. ^ "Visas For Foreign Citizens – For Kosovo Citizens – Consular Services – Ministry of Foreign Affairs – Republic of Kosovo". Ministry of Foreign Affairs – Republic of Kosovo. ^ "The procedure of foreign citizens' entry to the NKR". ^ "VISA Regulations". Turkish Republic of Northern Cyprus. ^ "Israel Country Specific Information". Bureau of Consular Affairs, U.S. Department of State. Archived from the original on 14 November 2013. Retrieved 18 November 2013. ^ "Practical travel information on Visas in Somaliland, Puntland & Somalia – Lonely Planet Travel Information". Archived from the original on 2014-11-06. Retrieved 2018-05-09. ^ "Visa-Exempt Entry". Bureau of Consular Affairs. ^ "Министерство иностранных дел – Приднестровской Молдавской Республики". Министерство иностранных дел. ^ "Luxlana.net". Archived from the original on 2013-10-22. Retrieved 2018-05-09. ^ Visit visa / entry permit requirements for the Hong Kong Special Administrative Region, Immigration Department of Hong Kong, April 2017. ^ Entry and exit of non-residents, Public Security Police Force of Macau. ^ Visas and immigration, Discover Cook Islands. ^ Travelling to Niue, Niue Tourism Office. ^ "Visa and passport requirements". ^ Protocols No. 3 and 10 to the Treaty of Accession 2003 Archived 2016-06-11 at the Wayback Machine, European Commission, 16 April 2003. ^ Visa requirements for Anguilla, Government of Anguilla, October 2016. ^ Bermuda entry visas, Government of Bermuda. ^ Visas, Tourism Board of the British Virgin Islands. ^ Visa-free and visa-required countries, Department of Immigration of the Cayman Islands. ^ Immigration Ordinance 1999, Falkland Islands Government, 31 July 2017. ^ Visas and immigration, Government of Gibraltar. ^ Countries not requiring a visa, Immigration Department of Montserrat. ^ "Tourist Information | Visas & Legal Info | Pitcairn Island Tourism". Archived from the original on 2013-10-18. Retrieved 2014-08-01. ^ "Saint Helena eVisa". Saint Helena Government. ^ "VISA REQUIREMENTS FOR VISITING ST HELENA". St Helena Government. 2 February 2018. Retrieved 2 February 2018. ^ "Ascension Island E-Visa System". 13 November 2018. ^ "Entry Visas". 13 November 2018. ^ "Information for Visitors – South Georgia Website". Archived from the original on 2008-04-12. Retrieved 2008-04-12. ^ Requirements to obtain a Turks and Caicos visitor's visa, Ministry of Border Control and Employment of the Turks and Caicos Islands. ^ General information, American Samoa Visitors Bureau. ^ "Ashmore Reef and Cartier Island Marine Reserves – Information for Visitors". Retrieved August 4, 2017. ^ Tours must be organized by a travel agent registered in Hainan province and approved by the National Tourism Administration of China. ^ "Sistema de Calificación y Control de Residencia – Consejo de Gobierno de Galápagos". Archived from the original on 2015-02-21. Retrieved 2018-05-08. ^ "Fiji Country Specific Information". Bureau of Consular Affairs, U.S. Department of State. Archived from the original on 2 November 2013. Retrieved 18 November 2013. ^ "Iran Country Specific Information". Bureau of Consular Affairs, U.S. Department of State. Archived from the original on December 3, 2013. Retrieved 18 November 2013. ^ "Kazakhstan Country Specific Information". Bureau of Consular Affairs, U.S. Department of State. Archived from the original on November 2, 2013. Retrieved 18 November 2013. ^ "Malaysia Country Specific Information". Bureau of Consular Affairs, U.S. Department of State. Archived from the original on November 28, 2013. Retrieved 18 November 2013. ^ "Maldives Country Specific Information". Bureau of Consular Affairs, U.S. Department of State. Archived from the original on December 2, 2013. Retrieved 18 November 2013. ^ "Russian Federation Country Specific Information". Bureau of Consular Affairs, U.S. Department of State. Archived from the original on 3 December 2013. Retrieved 18 November 2013. ^ "Republic of South Sudan Country Specific Information". Bureau of Consular Affairs, U.S. Department of State. Archived from the original on 5 November 2013. Retrieved 19 November 2013. ^ "Yemen Country Specific Information". Bureau of Consular Affairs, U.S. Department of State. Archived from the original on November 14, 2013. Retrieved 19 November 2013. ^ "PASSPORTS AND VISA | GoIsrael - the Official Website of Tourism to Israel". ^ "Foreign Affairs Manual, 9 FAM 403.9-3(B)(2) f". U.S. Department of State. Retrieved 10 October 2017. ^ "How long should my passport be valid when traveling to the United States?" (PDF). U.S. Department of State. Retrieved 10 October 2017. ^ "Country Information". Bureau of Consular Affairs, U.S. Department of State. Retrieved 11 September 2017. ^ "Travel Report - Kuwait". Voyage.gc.ca. 2012-11-16. Retrieved 2013-07-01. ^ "Travel Advice for Libya - Australian Department of Foreign Affairs and Trade". Smartraveller.gov.au. Archived from the original on 2013-06-22. Retrieved 2013-07-01. ^ "Travel Advice for Sudan - Australian Department of Foreign Affairs and Trade". Smartraveller.gov.au. Archived from the original on 2013-07-05. Retrieved 2013-07-01. ^ "Travel Advice for Yemen - Australian Department of Foreign Affairs and Trade". Smartraveller.gov.au. Archived from the original on 2011-08-20. Retrieved 2013-07-01. ^ "Entry Requirements - Israel Travel Advice". Foreign Travel Advice. Foreign & Commonwealth Office of Her Majesty's Government of the United Kingdom of Great Britain and Northern Ireland. Retrieved 6 April 2019. Visitors entering via Ben Gurion airport are given an entry card instead of an entry stamp in their passport. While this practice is in place at other ports of entry, there have been instances where passports have been stamped for entry purposes. You should keep your entry card with your passport until you leave. 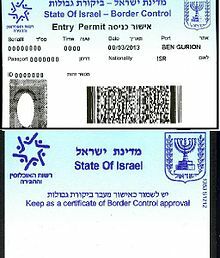 This is evidence of your legal entry into Israel and may be required, particularly at any crossing points into the Occupied Palestinian Territories. If you’re refused entry into Israel, your passport may be stamped with an entry stamp and two red lines drawn across it to indicate the refusal. ^ Azerbaijan Country Page Archived 2009-03-08 at the Wayback Machine. NCSJ: Advocates on behalf of Jews in Russia, Ukraine, the Baltic States & Eurasia. Accessed 23 May 2010. ^ "Azerbaijan Country Page of the NCSJ (advocates on behalf of Jews in Russia, Ukraine, the Baltic States & Eurasia) accessed 23 May 2010". Archived from the original on 8 March 2009. Retrieved 2010-05-26. ^ "Warning for the foreign nationals wishing to travel to the occupied territories of the Republic of Azerbaijan". Ministry of Foreign Affairs of the Republic of Azerbaijan. Retrieved 23 November 2017. ^ "List of foreign citizens illegally visited occupied territories of the Republic of Azerbaijan". Ministry of Foreign Affairs of the Republic of Azerbaijan. Retrieved 23 November 2017. ^ Calder, Simon (24 April 2017). "Airline lobbying for a relaxation of draconian rules for London-Auckland travellers". The Independent. Retrieved 7 July 2018. Travellers heading west from the UK to New Zealand may soon be able to avoid the onerous requirement to clear US border control during the refuelling stop at Los Angeles airport (LAX). Unlike almost every other country in the world, the US insists on a full immigration check even for travellers who simply intend to re-board their plane to continue onwards to a foreign destination. Air New Zealand, which flies daily from Heathrow via Los Angeles to Auckland, says there are currently “strict requirements for travellers” in transit at LAX. Through passengers to Auckland on flight NZ1 or Heathrow on NZ2 must apply in advance for an ESTA (online visa) even though they have no intention of staying in the US. They also have to undergo screening by the Transportation Security Administration. ^ "How to enter Afghanistan. The Entry Requirements for Afghanistan - CountryReports". Countryreports.org. ^ Nordland, Rod (19 November 2011). "In Afghanistan, Big Plans to Gather Biometric Data". Nytimes.com. ^ "Argentina strengthens migratory control". Archived from the original on 2 December 2013. ^ "Cambodia Foreign Entry Requirements". Us-passport-information.com. ^ "China to Start Fingerprinting Foreign Visitors". Air Canada. 31 Jan 2019. Retrieved 7 July 2018. Effective April 27, 2018, border control authorities at all of China’s ports of entry, including its airports, will start collecting the fingerprints of all foreign visitors aged between 14 and 70. Diplomatic passport holders and beneficiaries of reciprocal agreements are exempted..
^ "Äthiopien: Reise- und Sicherheitshinweise". Auswaertiges-amt.de. ^ "Japan fingerprints foreigners as anti-terror move". Reuters. 20 November 2016. Retrieved 3 March 2017 – via Reuters. ^ "Anger as Japan moves to fingerprint foreigners - World". Theage.com.au. 2007-10-26. ^ "Malaysia". CountryReports. Retrieved 7 July 2018. ^ "Saudi Arabia mandates fingerprints and biometrics for foreigners - SecureIDNews". secureidnews.com. Retrieved 3 March 2017. ^ F_161. "S Korea to scan fingerprints of suspicious foreign visitors - People's Daily Online". peopledaily.com.cn. Retrieved 3 March 2017. ^ "Iris Scan Implemented at Doha International Airport". Archived from the original on 8 January 2012. ^ "Iris Scanner Could Replace Emirates ID In UAE". SimplyDXB. 11 June 2017. Retrieved 7 July 2018. The breach of privacy is probably the biggest threat to the biometric technique of iris recognition. Secondly, a device error can false reject or false accept the identity which can also have some heinous consequences. Lastly, the method isn’t the most cost-effective one. It is complex and therefore expensive. Furthermore, the maintenance of devices and data can also be relatively burdensome. However, thanks to the oil money and spending ability of Dubai, they are economically equipped to effectively embrace this system. 1 British Overseas Territories. 2 Open border with Schengen Area. 3 Russia is a transcontinental country in Eastern Europe and Northern Asia. The majority of its population (80%) lives in European Russia, therefore Russia as a whole is included as a European country here. 4 Turkey is a transcontinental country in the Middle East and Southeast Europe. Has part of its territory (3%) in Southeast Europe called Turkish Thrace. 5 Azerbaijan (Artsakh) and Georgia (Abkhazia; South Ossetia) are transcontinental countries. Both have part of their territories in the European part of the Caucasus. 6 Kazakhstan is a transcontinental country. Has part of its territories located west of the Ural River in Eastern Europe. 7 Armenia and Cyprus (Northern Cyprus; Akrotiri and Dhekelia) are entirely in Southwest Asia but having socio-political connections with Europe. 8 Egypt is a transcontinental country in North Africa and the Middle East. Has part of its territory in the Middle East called Sinai Peninsula. 9 Part of the Realm of New Zealand. 10 Partially recognized. 11 Unincorporated territory of the United States. 12 Part of Norway, not part of the Schengen Area, special open-border status under Svalbard Treaty. 13 Part of the Kingdom of Denmark, not part of the Schengen Area. 1 British Overseas Territories. 2 Open border with Schengen Area. 3 Russia is a transcontinental country in Eastern Europe and Northern Asia. The vast majority of its population (80%) lives in European Russia. 4 Turkey is a transcontinental country in the Middle East and Southeast Europe. Has a small part of its territory (3%) in Southeast Europe called Turkish Thrace. 5 Abkhazia9, Azerbaijan, Georgia, and South Ossetia9 are often regarded as transcontinental countries. Both have a small part of their territories in the European part of the Caucasus. 6 Kazakhstan is a transcontinental country. Has a small part of its territories located west of the Urals in Eastern Europe. 7 Armenia, Artsakh9, Cyprus, and Northern Cyprus9 are entirely in Southwest Asia but having socio-political connections with Europe. 8 Egypt is a transcontinental country in North Africa and the Middle East. Has a small part of its territory in the Middle East called Sinai Peninsula. 9 Partially recognized. This page was last edited on 19 April 2019, at 19:49 (UTC).